News of the Zika virus outbreak, which began in Brazil in 2015 and spread quickly elsewhere in Latin America and beyond, has raised alarm bells in the United States, where many fear a northward trajectory. As with the Ebola fever and H1N1 influenza epidemics in 2014 and 2009 respectively, the Zika outbreak has renewed calls in some quarters for tighter restrictions on international entries to the United States. The threat of a possible epidemic adds a new and different layer of complexity to the topic of border control, already a polarizing issue during a combative election cycle. Although the connections between immigration controls and public health are far from fully understood, evidence shows that restrictions on international travel tend to have little impact on the spread of infectious diseases. While international travel and globalization have increased the likelihood of infectious disease pandemics, targeting foreign nationals for increased scrutiny in the name of public health would be misguided. Travelers of all sorts, and for all sorts of purposes, participate unwittingly in the global movement of pathogens. And while immigration-restrictionist commentators decry the “ongoing flood of invaders pouring across the Mexico-U.S. border” from Zika-affected nations and declare that “foreigners bring disease across the border,” research shows that, far from being a threat to public health, immigrants actually tend to have better health conditions than native-born Americans. This article concentrates particularly on the public health-immigration nexus for the United States and Latin America in light of the Zika epidemic and the preponderance of migrants from Mexico, El Salvador, Guatemala, Honduras, and other countries in the region who play a real and symbolic role in discussions of immigration policy today. The Zika epidemic demonstrates that the United States and Latin America have intertwined public-health destinies, and highlights the importance of multilateral institutions such as the Pan American Health Organization (PAHO) in coordinating public-health efforts across the region. Closing Borders to Epidemics: Does It Work? Today's calls to restrict international entries into the United States because of Zika, while limited to the political fringes, evoke a long and shadowed history where immigrants have often shouldered the blame for epidemics. In the 1890s in New York City, Eastern European Jews were singled out for quarantine as suspected carriers of typhus and cholera. Around the same time, in San Francisco, Chinese immigrants were confined to their tiny enclave, Chinatown, partly due to nativist fears of infectious diseases such as smallpox and bubonic plague. Much later, in the 1980s, Haitians were considered a high-risk group for HIV transmission, and subjected to more stringent immigration controls as a result. In these cases and others, ethnic scapegoating and efforts to seal borders have been shown to be distracting and ineffective responses to public-health crises. At the same time, it is plausible to wonder whether the accelerated and increased movement of people and the diseases they carry heightens the threat of international pandemics in the modern world. The answer is complex. The rapid and voluminous flows of “viral traffic” (movement of people, pathogens, vectors, and nonhuman hosts) across borders undoubtedly raise the specter of global pandemics. Yet tightening border controls usually does little to stem the spread of infectious diseases, partly as a result of the inherent dynamics of how epidemics unfold across space and time. Moreover, the sheer volume of people traveling internationally overwhelms attempts to single out immigrants or foreign nationals for heightened scrutiny at airports and other ports of entry. Globalization provides the macro context for new anxieties over massive epidemics. The dramatic increase in the magnitude, velocity, and diversity of international movements paradoxically ensures more pandemics while making the spread of any given pathogen much harder to predict. Approximately 1 billion people traveled across international borders in 2015, up from 500 million in the early 1990s. And the rapid growth of air travel hubs such as Singapore and Dubai, along with developments in international trade and tourism, has led to increasingly complex patterns of international travel. After episodes of diseases such as SARS in 2003, H1N1 influenza (swine flu) in 2009, and now Zika, it is evident that new disease threats can originate in far-off places, proliferate rapidly, and have global impact in a matter of days. To assuage public fears during epidemics, authorities often move to seal international borders, with increased surveillance and control of arrivals at border entry points, especially airports. In 2009, in the wake of the H1N1 influenza epidemic that originated at a hog farm in Mexico, some airports installed thermal screening devices to detect feverish passengers and many adopted questionnaires to identify travelers with recent fever symptoms. Such measures have little effect, however, on the spread of epidemic diseases. Some tactics, such as the use of questionnaires regarding recent illnesses and possible exposure, are easy for travelers to evade, as is barring entry from particular destinations, with motivated travelers sometimes able to conceal their origin by traveling first to a nonbarred location (though this is likely a tiny fraction of all travelers). In any case, many travelers harboring a deadly virus would be asymptomatic at the time of entry. Indeed, no two airports in the world are separated by more than 36 hours of flying time, a period shorter than the incubation time for most infectious diseases. Sophisticated research using space-time modeling and epidemic simulation techniques has confirmed suspicions that travel restrictions have little effect on the spread of global pandemics. The essential problem is that by the time awareness of an international epidemic crystallizes, usually enough cases have been “seeded” in a given country to sustain transmission within national borders. Only unrealistically drastic limitations on international movement could slow a pandemic already under way. Border controls at late stages of pandemics may represent little more than “security theater” and lead to severe economic consequences, as Mexico discovered in 2009. Using its long-standing power to regulate immigration to control “diseases of public-health significance,” the U.S. government intensified screening, testing, and surveillance of travelers (regardless of nationality) from West Africa in response to the Ebola fever epidemic in 2014. The apparent success of these measures may be exceptional. Ultimately, of the thousands of arriving passengers selected for active monitoring for Ebola, not one turned out to be infected with the virus. Ebola was, despite appearances, actually a slow-moving epidemic of a not-especially contagious virus with very obvious symptoms originating in a region of West Africa that was already somewhat isolated from international travel networks. But most viral diseases do not fit this profile. While limits on the movement of travelers in general do little to prevent the spread of epidemic diseases, is it worth considering whether it makes sense to control the specific movement of immigrants or of foreign nationals for public-health reasons? While there is little academic research on this specific question, most indications point to “no.” Even as some politicians and pundits suggest that immigrants are greater carriers of disease, there is no evidence to suggest that their rates of infectious disease exceed those of travelers generally. And migrants make up a small proportion of international travelers. For example, the annual number of U.S. travelers to areas where Zika transmission occurs—about 40 million, according to the U.S. Centers for Disease Control (CDC)—dwarfs the number of migrants from those regions. Concrete data are hard to come by this early in the Zika epidemic, but it appears thus far that the vast majority of Zika cases in the continental United States come from American travelers who acquired the infection while abroad, not from immigrants to the country. Although immigrants are often stereotyped as carriers of disease, as previously noted, there is a long line of academic research by epidemiologists, demographers, and other public-health experts suggesting that the health of migrants is usually better than that of native-born Americans. This is sometimes called the “migrant health paradox,” because it is often assumed that population health conditions are generally worse abroad (i.e. in migrant-sending countries) than in the United States. This concept was initially termed the “Hispanic health paradox,” having originated with the study of Mexican, Salvadoran, and other Latin American migrants to the United States. According to systematic reviews of research papers using methods such as case-control studies and retrospective cohort analysis, foreign-born residents of the United States—Hispanic and non-Hispanic alike—generally have better health conditions than the native-born population, in terms of rates of cardiovascular disease and many kinds of cancer, and better outcomes with respect to infant health, mental health, and risk behaviors (e.g. obesity, smoking, and drinking). All other things being equal, a migrant to the United States can expect to live longer than a native-born American, despite having lower levels of access to health insurance and medical care than his or her native-born peers. Why should this be the case? Some contend that this counterintuitive result may reflect methodological issues rather than real differences. For example, the “healthy migrant” hypothesis suggests that selection bias is at play, insofar as healthier people have the capability to endure the rigors of international migration, as well as high levels of human capital (e.g. education) widely associated with better health outcomes. Meanwhile, the so-called “salmon bias” hypothesis suggests that migrants return home in old age, affecting the consistency of morbidity and mortality data. While these skeptical stances on the migrant health paradox make sense, research findings provide ambiguous and inconsistent support for them. So what else could explain this “paradox”? Many researchers point to lifestyle as the key factor: migrants bring healthy behaviors and habits, especially in terms of diet and exercise, which protect them from chronic health problems. Relatedly, migrant groups may have higher levels of social cohesion than their native-born counterparts, helping to reduce stress and improve mental health. Adding credence to such explanations, differences between migrant and native-born groups (in behaviors, risk factors, and outcomes) tend to diminish with length of residence, with increasing acculturation, and in subsequent (i.e. U.S.-born) generations. Meanwhile, over the long term, there has been a “convergence”—to use economist Jeffrey Sachs’s term—of population health profiles between the United States and Latin American countries. For example, Mexico trailed its northern neighbor in life expectancy by about 12 years in 1960, a gap that has been reduced to just 1.5 years today. Simultaneously, however, there is another, less advantageous type of convergence occurring, as developing countries adopt unhealthy aspects of affluent-country lifestyles. For example, Mexico, not the United States, now reports the world’s highest obesity rates. Yet even this fact could be viewed as a sign of something positive: in terms of public health, the relationship between the United States and Latin America is marked by shared conditions and common interests. 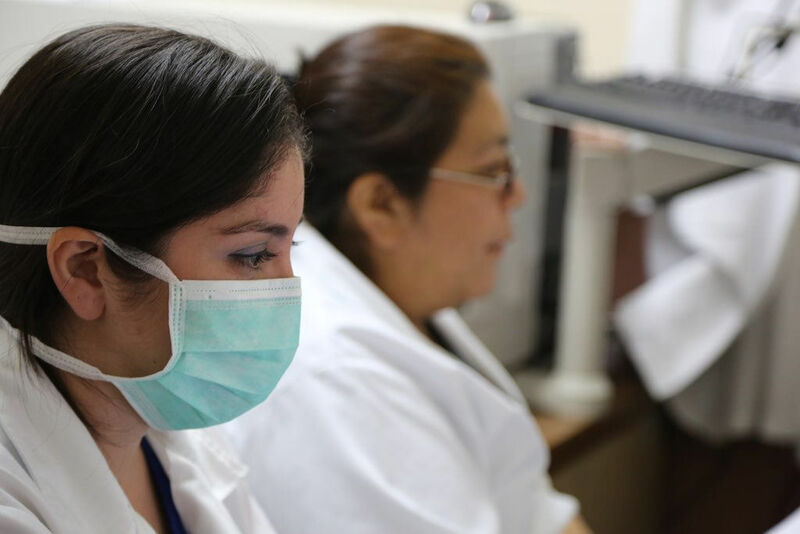 The countries of the Western Hemisphere should continue to work together to build up health systems that can respond rapidly to epidemics and other public-health emergencies. Today, the major conduit for these efforts is the multilateral PAHO, an arm of the World Health Organization (WHO). Ironically, the organization was founded in 1902 to impose and enforce barriers on travel and regulate port sanitation, in order to prevent the spread of yellow fever, bubonic plague, and cholera. Removing epidemics—which were primarily viewed as an impediment to international trade—reflected U.S. commercial interests in the hemisphere at the time. Today, PAHO and WHO have an integral role in sharing information, funding efforts to control epidemics, and sponsoring international research collaborations, for example to develop vaccines for Zika and related arboviruses, such as dengue and chikungunya. With financial assistance from the Bill and Melinda Gates Foundation, the CDC and PAHO are collaborating on community-based efforts to prevent Zika transmission in affected countries of the Americas. Those calling for bans on travel to the United States in the name of public health misunderstand the spatial and temporal dynamics of infectious disease epidemics, mistakenly believe that immigrants are especially likely to carry such diseases, and ignore the generally good health status of immigrants. More broadly, this stance runs counter to the interest shared by the United States and Latin America in building robust institutions and fostering collaborative efforts to resolve current health problems and prepare for future threats. Acknowledgment: Claire Hofius provided research assistance. Abraido-Lanza, Ana F., Bruce P. Dohrenwend, Daisy S. Ng-Mak, and J. Blake Turner. 1999. The Latino Mortality Paradox: A Test of the "Salmon Bias" and Healthy Migrant Hypotheses. American Journal of Public Health 89 (10): 1543-48. Acevedo-Garcia, Dolores, Emma V. Sanchez-Vaznaugh, Edna A. Viruell-Fuentes, and Joanna Almeida. 2012. Integrating Social Epidemiology into Immigrant Health Research: A Cross-National Framework. Social Science & Medicine 75 (12): 2060-68. Bajardi, Paolo, Chiara Poletto, Jose J. Ramasco, Michele Tizzoni, Vittoria Colizza, and Alessandro Vespignani. 2011. Human Mobility Networks, Travel Restrictions, and the Global Spread of 2009 H1N1 Pandemic. PloS One 6 (1): e16591. Bruce, Tammy. 2016. When Foreigners Bring Disease Across the Border, The Washington Times, January 25, 2016. Available Online. Chishti, Muzaffar, Faye Hipsman, and Sarah Pierce. 2014. Ebola Outbreak Rekindles Debate on Restricting Admissions to the United States on Health Grounds. Migration Information Source, October 23, 2014. Available Online. Craddock, Susan. 2000. City of Plagues: Disease, Poverty, and Deviance in San Francisco. Minneapolis: University of Minnesota Press. Cueto, Marcos and Steven Palmer. 2015. Medicine and Public Health in Latin America: A History. Cambridge, UK: Cambridge University Press. Cunningham, Solveig Argeseanu, Julia D. Ruben, and K.M. Venkat Narayan. 2008. Health of Foreign-Born People in the United States: A Review. Health & Place 14 (4): 623-35. Escobar, Agustín, Susan F. Martin, Lindsay L. Lowell, and Rafael Fernández de Castro. 2013. Estudio Binacional Sobre Migrantes Mexicanos en Estados Unidos y en México. Foreign Affairs Latinoamérica 13 (3): 12-17. Farmer, Paul. 2001. Infections and Inequalities: The Modern Plagues. Berkeley, CA: University of California Press. Frieden, Thomas R. 2016. Examining the U.S. Public Health Response to the Zika Virus. Statement before U.S. House of Representatives, Committee on Energy and Commerce, Subcommittee on Oversight and Investigations, March 2, 2016, 114th Cong., 2nd sess. Available Online. Harvey, Kira, Douglas H. Esposito, Pauline Han, Phyllis Kozarsky, David O. Freedman, D. Adam Plier, and Mark J. Sotir. 2013. Surveillance for Travel-Related Disease—GeoSentinel Surveillance System, United States, 1997–2011. MMWR Surveillance Summaries 62 (SS03): 1-15. Available Online. Hotez, Peter J. 2009. One World Health: Neglected Tropical Diseases in a Flat World. PLoS Negl Trop Dis 3 (4): e405. Lara, Mariaelena, Cristina Gamboa, M. Iya Kahramanian, Leo S. Morales, and David E. Hayes Bautista. 2005. Acculturation and Latino Health in the United States: A Review of the Literature and Its Sociopolitical Context. Annual Review of Public Health 26: 367-97. Markel, Howard. 2009. When Germs Travel: Six Major Epidemics That Have Invaded America and the Fears They Have Unleashed. New York: Vintage Books. McKay, Laura, Sally Macintyre, and Anne Ellaway. 2003. Migration and Health: A Review of the International Literature. Glasgow, Scotland: MRC Social and Public Health Sciences Unit. Millman, Alexander J., et al. 2016. Active Monitoring of Travelers Arriving from Ebola-Affected Countries—New York City, October 2014–April 2015. Morbidity and Mortality Weekly Report 65 (3): 51-54. Available Online. Monroe, Judy. 2016. Fighting Zika, Empowering Pregnant Women. CDC Foundation blog, May 18, 2016. Available Online. New Observer, The. 2016. "Immigrants" Come from Zika Alert Nations, The New Observer, January 23, 2016. Available Online. Rubalcava, Luis N., Graciela M. Teruel, Duncan Thomas, and Noreen Goldman. 2008. The Healthy Migrant Effect: New Findings from the Mexican Family Life Survey. American Journal of Public Health 98 (1): 78-84. Sachs, Jeffrey. 2008. Common Wealth: Economics for a Crowded Planet. New York: Penguin Books. Shah, Sonia. 2016. Pandemic: Tracking Contagions, from Cholera to Ebola and Beyond. New York: Sarah Crichton Books. Tavernise, Sabrina. 2013. The Health Toll of Immigration, The New York Times, May 18, 2013. Available Online. Viruell-Fuentes, Edna A. 2007. Beyond Acculturation: Immigration, Discrimination, and Health Research Among Mexicans in the United States. Social Science & Medicine 65 (7): 1524-35. Wilder-Smith, Annelies and Duane J. Gubler. 2008. Geographic Expansion of Dengue: The Impact of International Travel. Medical Clinics of North America 92 (6): 1377-90. Zimmerman, Cathy, Ligia Kiss, and Mazeda Hossain. 2011. Migration and Health: A Framework for 21st Century Policy-Making. PLoS Med 8 (5): e1001034.